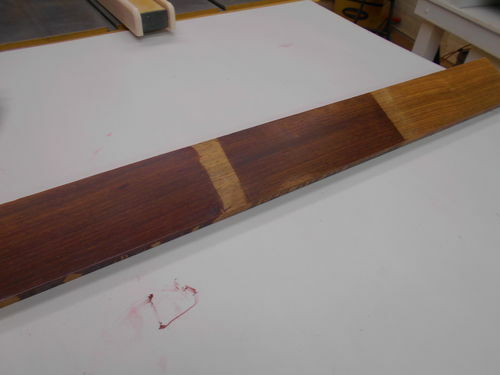 I wonder how it would do keeping padauk from changing color in the sun. Thanks for the link. Interesting they are made for metal instead of wood. What’s the difference between the bronze and iron variants? Is it a paste wax you can apply with a rag and buff out? Yes they a manufacture it for their metal coatings but it is a high quality wax that can be used for various applications. Similar to using a car wax on a woodworking project. As for padauk- I understand the anguish of a padauk project changing- All I can say is make sure you protect from UV- I used Minwax paste for years and this product is smoother and softer than the run of the mill cans. Easy to apply with a rag or brush, let it set and buuff out. The wax finish hardens and doesn’t feel as “waxey” compared to paste wax. As for the difference of there products, I suggest that you call them, for they have been extremely helpful to me. I use the colored waxes as well. 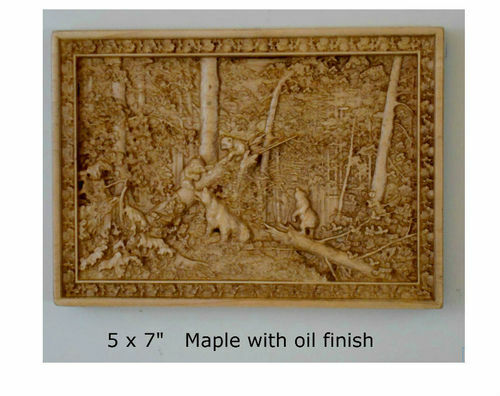 For example, I have a maple wood carving, top coat it with their “ever clear” with UV protection clear coat, then detail the carving with their colored wax. Then to maintain it with their clear wax. Looks like they have some very cool products, thanks for the info! Those colored waxes are adding good depth highlights to your carvings. I imagine they would be difficult to finish any other way (except maybe spraying). Thanks for the info. Have you compared this UV wax with one of the Danish Oils with UV protection? – Thanks, John. SPOILER ALERT- I am about to Post a review on finishes and this teaser may interest you (pic) the one in the middle is similar to what you asked me, but it is starting to give way- stay tuned…. Great, I’ll be expecting to read your evaluation soon. Whats the treatment for the far right panel? Will it be on this thread or a new one? I have been emailing the folks at Sculptnouveau about their products. They say the wax and oils are very good to use on wood and that they are both full of UV protectors. Have you tried their clear oil? They gave me the ingredients: “The oil starts with the old blacksmiths formula – Linseed, turpentine, and Penetrol. Then we add a dryer, corrosive inhibitors, UV inhibitors and a hardener.” It is amber in color and sounds similar to a danish oil to me.